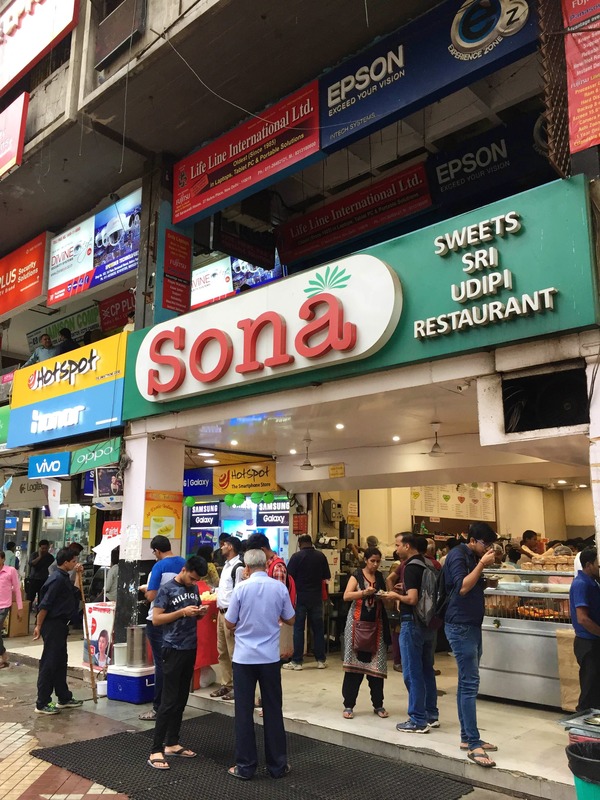 I went to Sona Sweets in Nehru Place last Saturday afternoon where in most of the crowd had come to watch movies at Satyam, but this outlet remains a favourite with peeps who are always on the lookout for a quick yet delicious meal. Ok, so when I say quick, it isn't that quick as it always has a queue, mainly due to the popularity of the joint in South Delhi. The seating capacity is relatively less but the wait is worthwhile. They not only serve South Indian food but there are also many North Indian options available here. It would be awesome if they could increase their seating capacity, as that would help in tackling the crowd. Grab a quick seat here, then order!